The Chaco OutCross Pro Lace is made from minimal, deconstructed mesh and synthetic leather to provide breathability and drainability. Rubber toe cap provide durability and protection. Ports and ventilated openings provide drainage. CLOSEOUTS . 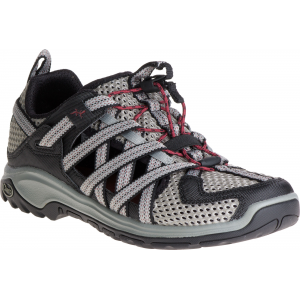 Bridge land and water in Chacoand#39;s Outcross Pro Lace water shoes. 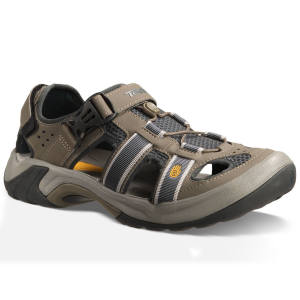 The closed-toe design offers excellent drainage, breathability -- and most importantly -- tough toe protection. 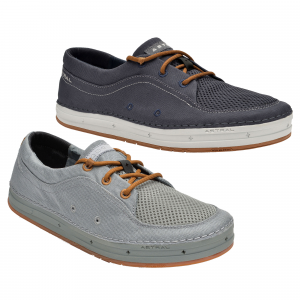 The easy-lacing cinch toggle, cradling LUVSEATand#174; footbed, and layered mesh and webbing are all synonymous with the comfort and fit youand#39;ve come to love from Chaco. Available Colors: TRAIL FOREST, KADUNA NIGHT. Sizes: 8, 8.5, 9, 9.5, 10, 10.5, 11, 11.5, 12, 7, 7.5, 13, 14. 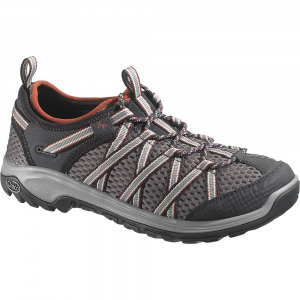 While you've concocted a lethal combination of chemicals to fend off the plane-sized skeeters in the Boundary Waters, you hadn't found the perfect footwear solution for your treks until the Chaco Men's Outcross Lace Water Shoe. In this amphibious shoe, you can splash in the cool lake water and portage your canoe with ease. 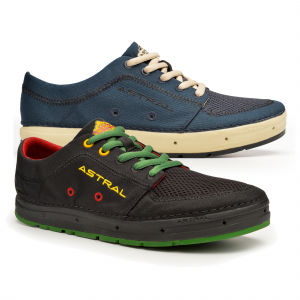 The upper construction blends three different materials to let your foot breathe, provide easy escape routes for water, and prevent irritating trail debris from getting underneath your sole. A quick tug is all it takes to secure the Outcross firmly to your foot. The polyurethane footbed has an exploded voronoi pattern (think spots on a giraffe) to quickly move water away from your foot. PU in the midsole cushions each canoe-carrying footstep, and the TPU shank offers extra support if your dry bags are particularly hefty. Two types of lugging on the Vibram TC-1 sole offer unparalleled traction on slimy rocks, pebbly river shores, and rugged trails. 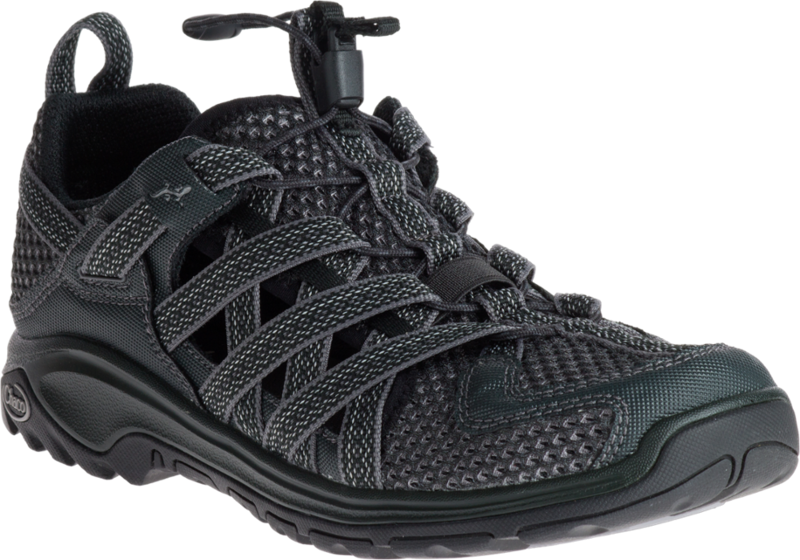 The amphibious, trail-ready OutCross Lace offers a breathable design with single-handed lace adjustment and protective toe caps. 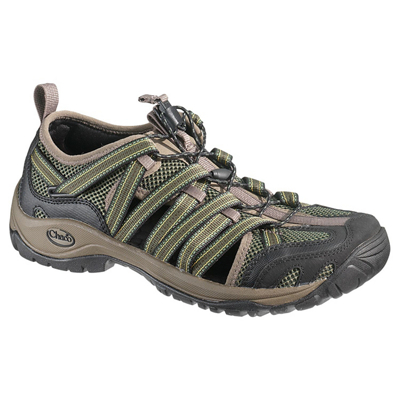 The Chaco Outcross Lace Shoe is not available from the stores we monitor. It was last seen September 18, 2018	at Mountain Gear.